AUCTION ALERT! 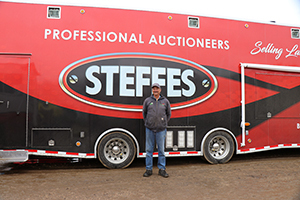 The Online Steffes Auction - 4/24 has 2 rings. Ring 1 begins closing at 10:00AM on April 24. To help your bidding experience, please click on the description tab for additional information. Please hold off on calling to make payment until you have received your invoice and all lots in both rings have closed.